Former iBurst MD Alan Knott-Craig Jr has acquired 50% of Arc Telecommunications, a company led by former iBurst commercial head Steve Briggs. Arc Telecoms is made up mostly of employees who used to work at iBurst Business, a division of iBurst. 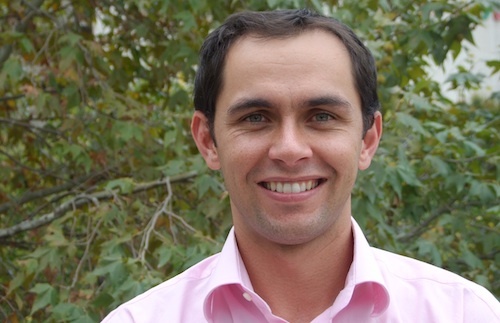 The value of the investment made by Knott-Craig Jr, who left iBurst last year and has since relocated with his family to Stellenbosch in the Western Cape, has not been disclosed. Arc Telecoms has its genesis in iBurst Business, which was spun out of iBurst earlier this year following an agreement to do so between shareholders in iBurst parent company Wireless Business Solutions (WBS), who include iBurst CEO Thami Mtshali and Blue Label Telecoms co-CEOs, brothers Brett and Mark Levy. Blue Label had planned to invest in the new business — and, in fact, Arc, has been based at Blue Label’s Sandton offices — but a source close to the company says the Blue Label board rejected this plan for “strategic reasons”. However, Briggs has dismissed as false reports that iBurst Business staff had staged a walkout at iBurst. He says WBS shareholders had planned to spin off the division, which was created to help iBurst expand into the small and medium enterprise market, as a separate company. Arc Telecoms has 14 former iBurst Business employees working for it. Briggs says Arc and iBurst continue to enjoy a good working relationship. Arc will make extensive use of iBurst’s network infrastructure in providing its services, he says. iBurst has retained the iBurst Business brand. Briggs and his partners, Paven Chetty and Michelle McCann, own the other 50% of Arc’s equity. The company plans to focus on the small and medium enterprise market, which Briggs says has been ignored, especially by the bigger service providers. My money is on Levy from day 1.